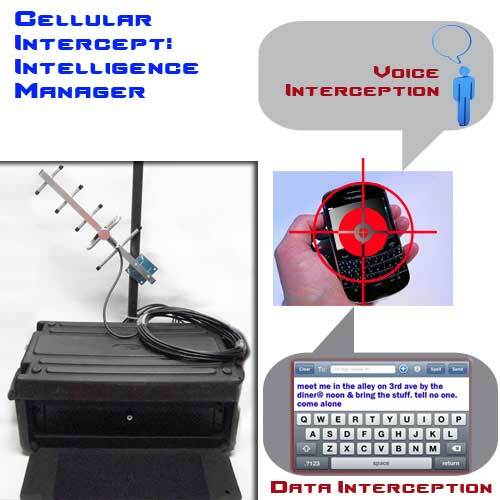 The Cellular Intercept and Intelligence Manager is a cellular interception system for communication intelligence (COMINT). This technology originates from the permissions based Cellular Firewall which allows the user to manage and grant cellular subscribers access to a cellular network. The primary difference between the Cellular Firewall and this interception system is the additional voice information extracted from intercepted communications. In other words, the Cellular Firewall used for access to the network lets the user conduct communications intelligence. The system works in parallel to the local cellular networks. 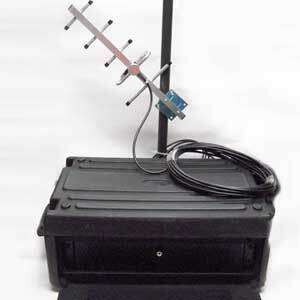 Before cellular interception occurrs, the system attracts those actively or inactively connecting to the local network (meaning they are either attempting to make or receive a call, or just in the standby mode on their mobile phone handsets). data that is exchanged, such as text messaging, DNR incoming or outgoing phone number identification, etc. The CC1740 converts off the air Cellular Interception into a clear, hard-wire capture solution for optimum quality with NO SIGNAL LOSS. The system is 100% reliable, providing CLEAN audio quality that can work in tandem with speech recognition software. It also provides the basis for audio spectrum analysis. There is no need to measure proximity factors to your target. From the Cellular Firewall infrastructure, the Cellular Intercept and Intelligence Manager incorporates a "red list" category for intelligence acquisition during an investigation. This red list is a filter that permits the user to focus on voice conversation capture of specific targets, while ignoring the masses of non-targeted voice conversations. Without this red list, all voice calls would be subject to a holding pattern without being assigned permission to continue onward to the local cellular network service provider.